The Christmas movie is a mystical beast. Whereas you may watch your favourite regular films a handful of times in a year, once mid-November hits it suddenly becomes completely appropriate to watch our most cherished festive flicks more times than we can count. 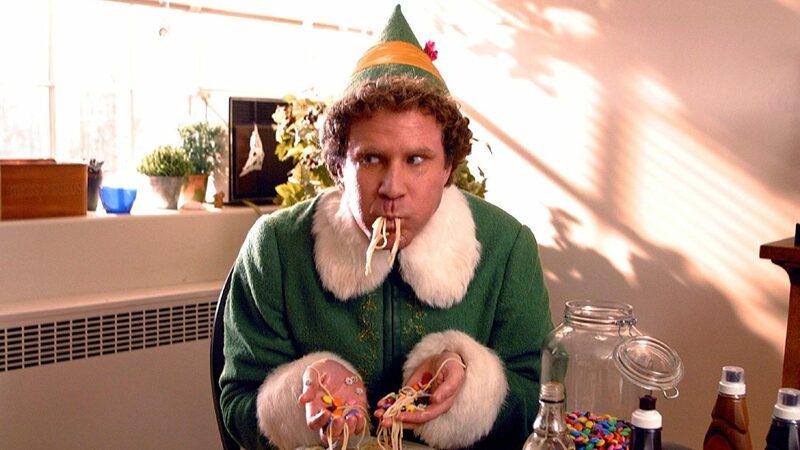 Seriously though, is it truly Christmas if you haven’t watched Elf at least five times in the space of a week? There are certain qualities of Christmas movies that make them timeless and beloved by everyone who isn’t a Scrooge, no matter how many times we have seen them. The first of these is undoubtedly the fact that they are all based around Christmas. As obvious as this may sound (of course a Christmas movie is set at Christmas), many of us associate the festive season with joyfulness, time spent with family and friends, and the warm, cosy feeling that accompanies drinking hot chocolate under a blanket by a roaring fire. When we see these associations depicted onscreen, it is impossible not to feel happy and content as we watch Love Actually for the third time this December. There is a real magical element to so many of these movies: the snow, the season and sometimes literal magic, with films like The Polar Express that revolve around Father Christmas himself. No matter where we are in our lives, we can always feel safe and at home watching a Christmas film. A second important quality of Christmas movies is that they all end happily. After getting through Halloween and the endless torrent of horror films that appear in their masses year after year, it is nice to follow on from these movies with something completely different in tone (unless, like me, you are too much of a wuss to watch horror films and just get a head start on the Christmas ones instead). I can’t think of a single Christmas movie that doesn’t end well; whether its Buddy the Elf saving Christmas, Scrooge realising the error of his ways, or a young Thomas Sangster running after the love of his life in the airport even though they are literally children. Any conflict in a Christmas film is always resolved – and who doesn’t love a happy ending? Finally, and most crucially, many of our most treasured Christmas movies have become absolute classics. Some may only count as ‘classics’ in the Christmas film catalogue, but they have such an age-old appeal that they have stood the test of time. Forgettable Netflix Christmas specials come and go, sure, but there’s a reason why It’s A Wonderful Life and Miracle on 34th Street are still being watched over 70 years after their initial releases. Even films like The Muppet Christmas Carol, released back in 1992, make their way onto our screens year after year. They may not be Oscar-winning works of art (though several have been nominated, including It’s a Wonderful Life, Miracle on 34th Street and Home Alone), but so many Christmas films will likely outlive several award winners in our memories; there will always be a time and a place for them in this ‘Most Wonderful Time of the Year’.